We are only a 5 minute drive from Pangbourne station, car parking is £3 per day, so a train to Reading for business or pleasure is only 10 minutes and trains run very frequently approx every half an hour after 9 am. The farm is approximately 400 acres, and has an onsite riding school and equestrian centre. Ideally situated for tourism, escape weekends, B&B, sporting events and holiday leisure breaks. The function barn has a shower room / toilet suitable for a wheelchair user. At Herons farm we are in the perfect location to explore some of Britain’s stunning National Trust properties & Gardens. On site we have our very own octagonal barn built by Alferd Waterhouse in 1884 which is visually stunning and the only one in existence. 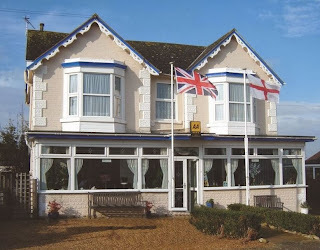 St George's House is a family run guesthouse in Shanklin on the Isle of Wight. It is situated on a quiet road just two minutes walk from the town centre. It is also just as close to the popular cliff top path, located above the beach with views out over the English Channel. 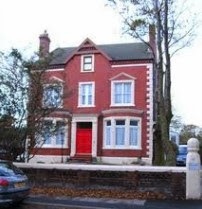 This makes St George's House perfect for a holiday or short break by the sea. 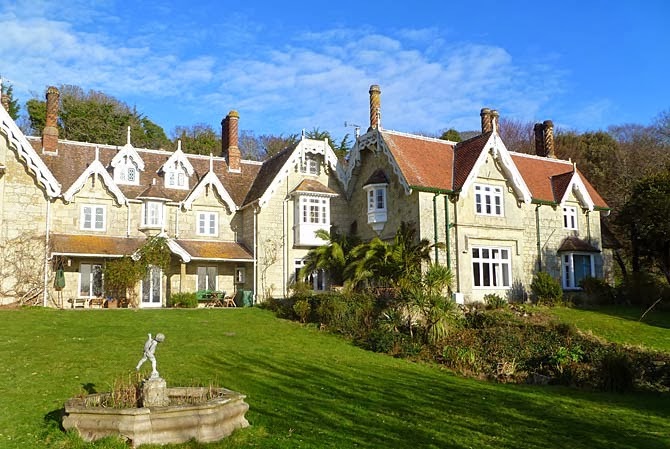 The building dates back to the Isle of Wight's Victorian heyday being built 1870 and it still retains much of its period charm and style. 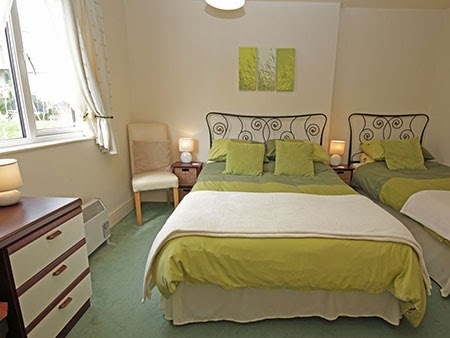 The accommodation at St George's House comprises nine large bedrooms, all of which are en suite, decorated and furnished individually to a high standard. Food is an important part of any holiday or short break and you will be delighted by the sunny dining room which can seat up to 24 people in comfort. Breakfasts are freshly prepared to our guests requirements so you will not miss any of the comforts of house. A very pretty small country house on the outskirts of Yarmouth, Medlars is within walking distance (10 to 15 minutes) of the town centre. Medlars has two bedrooms which are both newly decorated with very comfortable beds and good cotton bedlinen. Breakfast at Medlars is served in the dining room and there is fresh fruit salad and yoghurt with a variety of cereals and a full English breakfast or Continental if you prefer. Medlars is especially well placed for touring the beautiful island countryside and also for walking along the many footpaths and cycling on the well provided cycle routes. There is good off road parking for cars and bicycles can be put in the garage. Liz is always there to provide help with routes for your day and information on where to go and what to see. 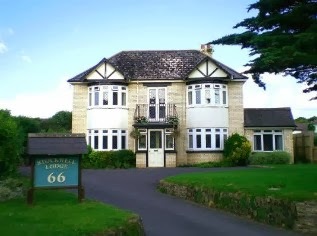 Situated on the southern side of the island, Lisle Combe offers a break away from everyday life. South facing aspect; overlooking the English Channel and Dexter cattle grazing on farmland; the land of smugglers both current and in bygone days; rocky beaches and easy access to coastal walks. 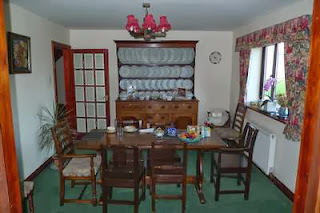 Come and stay at our family run Bed and Breakfast, either telephone or email us to find a friendly welcome for all. Lisle Combe is ideal for couples, families and family occasions. 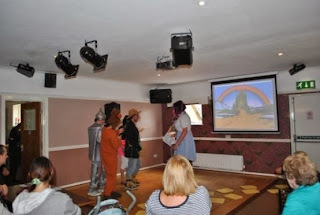 We can cater for larger parties please contact us for further details. We have held wedding receptions, christenings, wakes and all types of gatherings at Lisle Combe. Hillingdon Guest House is a family run bed and breakfast set in a lovely, peaceful and relaxing seaside residential part of West Looe on the South East coast of Cornwall. 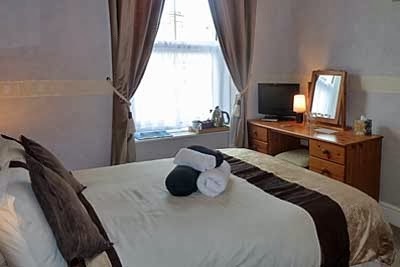 Hillingdon Guest House offers a full English breakfast from a wide and varied menu of locally sourced produce in a comfortable dining area with a relaxing coffee lounge. There is free Wi-Fi and all the rooms have freeview TV. The sunshine terrace is just outside the coffee lounge. Just a few metres from a clean sandy beach, perfect for rock pool exploring and a chance to see the natural habitat, with oyster catchers and cormorants on the rocks, seals can be seen off Looe Island, just a wonder full place to be. 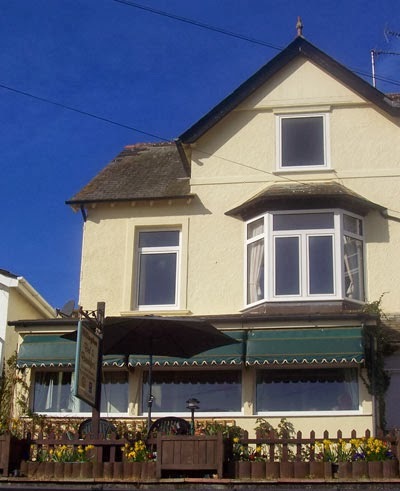 Hillingdon Guest House has panoramic sea views stretching from Start Point in Devon and Rame head towards the east, and Looe island and Hannafore and beaches to the sun setting in west Cornwall. 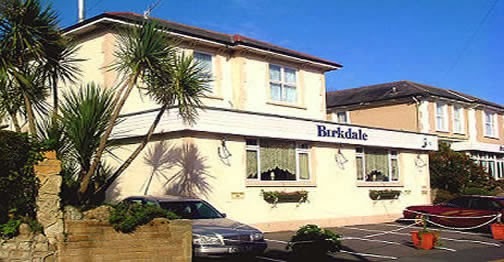 Your holiday begins as soon as you reach The Birkdale Guest House in Shanklin Old Village Isle of Wight. 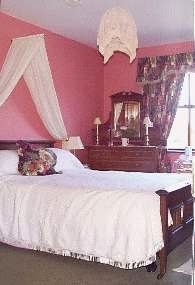 From the warmth of our welcome to the quality of our Victorian accommodation for adults only, you will not be disappointed. 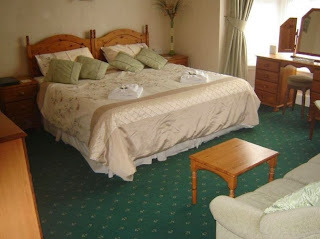 Our quality accommodation consists of 7 tastefully and individually furnished rooms, all with en-suite facilities. In the morning we offer you a breakfast menu that includes yoghurt, cereals, fruit, juice and toast. 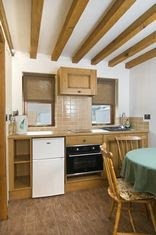 We then offer a hot breakfast including a full cooked Island breakfast or kippers. 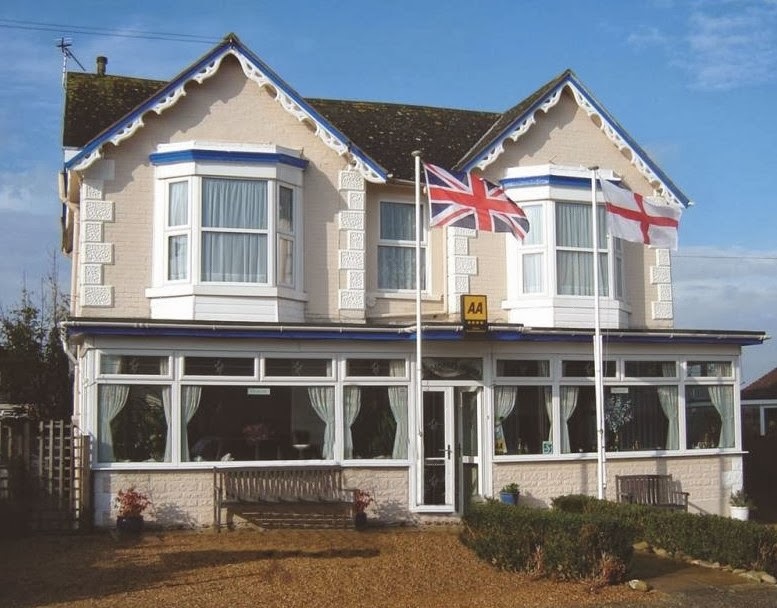 We have ample parking spaces at the front of the guest house and can book Isle of Wight Ferries on your behalf at reduced rates - however you will need to contact us direct by phone or email for ferry inclusive holidays. Whether you come for a short break or a longer holiday you will feel totally relaxed and refreshed by the time you leave. 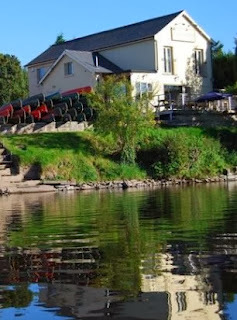 Situated on the banks of the River Wye at Glasbury Bridge - five minutes by car from Hay-on-Wye popular with booklovers. We are on the Sustrain Cycle Network and 100 yards from the Wye Valley Walk. 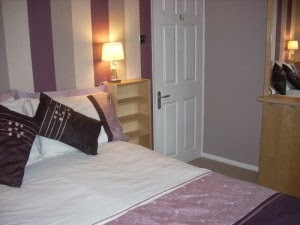 We have 4 en-suite rooms available for let on a B&B basis. 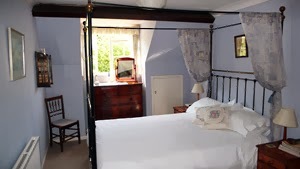 The rooms are simple, modern and warm and guests come down to a large cooked breakfast with free range eggs and local bacon, a bottle of local apple juice, cereals and croissants. Set on the edge of the Brecon Beacons National Park and at the foothills of the Black Mountains the café has a 40 seater restaurant and decking area with a further 8 tables outside. The café is an ideal base for those wanting to explore the area on bike, horseback, canoe, by foot or by car. Ballycastle House was formerly a part of the world renowned Mount Stewart Estate situated in the middle of the Ards Peninsula on the sheltered East Coast of Ireland. This charming accommodation provides a touch of luxury with Old World charm. This tranquil country setting with panoramic views towards Scrabo Tower and Strangford Lough provides a homely atmosphere in a quite rural setting yet it is conveniently located to local amenities and the many nearby attractions. 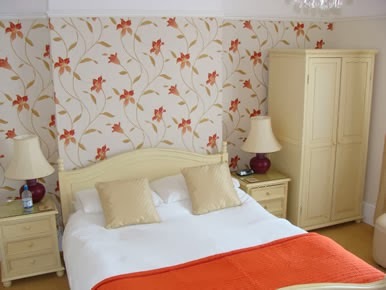 Ballycastle House offers a high standard of accommodation with 2 Double rooms and 1 Family room all en-suite or you can opt for the self-catering "Beech Cottage". Ballycastle House is an ideal base from which to explore the many visitor attractions in Co. Down or further afield. 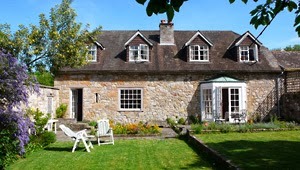 For the more independent visitor Ballycastle House can offer the charming 4* self-catering "Beech Cottage". This well proportioned and tastefully decorated cottage has two bedrooms both of which feature en-suite. Complemented by a fully fitted and modern kitchen and dining area, featuring a separate lounge with wood burning fire, private patio area and parking facilities, provided with all bed linen and towels, this really is a home from home. 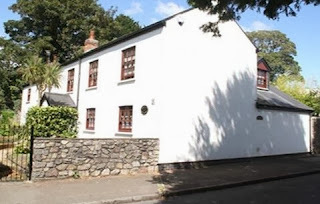 Stockwell Lodge Bed and Breakfast is situated in the village of Braunton. Braunton is reputedly the largest village in Britain yet it retains a much smaller village 'feel'. 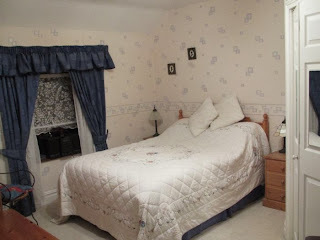 We offer comfortable rooms and can accommodate double, twin, single and family occupancy. 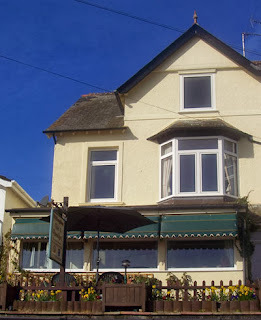 For beach lovers, Stockwell Lodge B and B is close to Saunton, Croyde, Putsborough and Woolacombe. Braunton Burrows boasts the largest sand dune system in the United Kingdom and is a site of special scientific interest. The Tarka Trail is about 400 metres from the house and we have ample car parking should you wish to leave your car and walk for the day. If you don't want to do it the hard way, cycle hire (local paths and cycle hire) is available in the village. Braunton has several good restaurants, pubs, banks, supermarkets and an off-licence. All our rooms are en-suite with TV and tea and coffee making facilities. 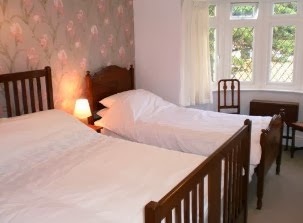 We have a choice of single, twin, double, triple and family rooms. We provide a comfortable, friendly atmosphere where our guests can relax and feel at home and want to come back again. Free off road car parking is also available. The cheapest guest house accommodation in town. We are situated in a quiet residential area, within a few minutes walk to the local shops and restaurants. The Guest House is just 10 minutes walk away from the seafront gardens, beach and promenade. Nearby is the country park with its wide variety of wildlife. The George at Wath lies just 3 miles from the city of Ripon, gateway to The Yorkshire Dales. Surrounded by fields in the beautiful North Yorkshire village of Wath, yet located less than 3 miles from the cathedral city of Ripon and only two miles from the A1, The George at Wath refurbished throughout in September 2009, offers guests exceptional quality accommodation, with the added advantage of a cosy and inviting restaurant and bar downstairs (FREE Wi-Fi available). Whether it’s a Sunday afternoon with the newspapers or a night out with friends, our bar, with its country pub must have “the log burning stove” and a mix of oak and flag stone floor offers the perfect cosy and relaxed atmosphere to enjoy a pint of one of our hand pulled ales or a glass of wine from our extensive list. On our doorstep we are fortunate enough to have a plethora of places to visit, whether it’s an interest in horse racing, historical houses and gardens, castles and ruins or for the more culinary minded, ice cream, cheese or even Real Ales! 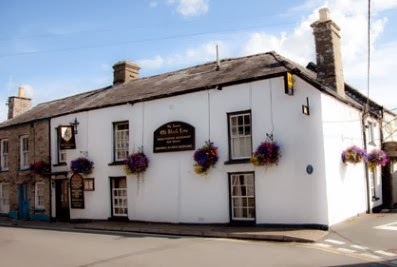 The Famous Old Black Lion is privately owned and personally managed by the resident proprietor Dolan Leighton who very much looks forward to welcoming you as her guest. The Old Black Lion offers a choice of 10 quality en-suite bedrooms (as well as an additional 2 en-suite rooms in the Old Black Lion Cottage), all of which are non-smoking, and have recently been sympathetically and tastefully refurbished to a very high standard providing all modern amenities including our famous teddy bears. 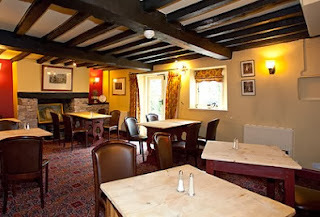 The Old Black Lion is renowned for the quality of its food and has received recognition and accolade over a number of years from various organisations. The Famous Old Black Lion, located very close to the centre of Hay on Wye exudes historical charm and atmosphere and it is reputed that Oliver Cromwell stayed at the Inn whilst the Roundheads besieged Hay Castle, which was then a loyalist stronghold. 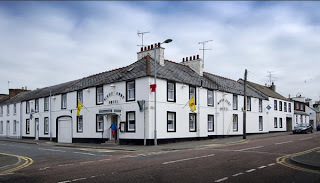 As a former Coaching Inn recognised by Visit Scotland (and which recently welcomed H.R.H. The Duke of Rothesay), the King's has been offering food and refreshments to guests for over 200 years. The Kings Arms has a total of 10 Bedrooms - a mixture of Double & Twins and 2 Single rooms. One of the doubles has Bunk Beds - so ideal for a family. We have also more recently made a self contained apartment. There are many Castles, Stately Homes, Museums &. National Trust Properties. The well known Threave Gardens incorporating the School of Gardening and Historical Castle are only a 10 minute walk from the hotel. The Grove offers all the ingredients for a happy and carefree holiday. 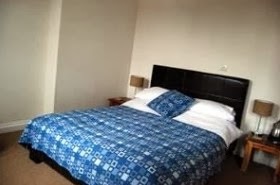 The atmosphere is friendly and informal, and the accommodation comfortable and homely. Over the years we have gained a reputation for our high standard of service and good food, and a great many of our guests return to us time and time again. A hearty full English breakfast, served in our elegant dining room, will set you up ahead of a busy day's sightseeing. 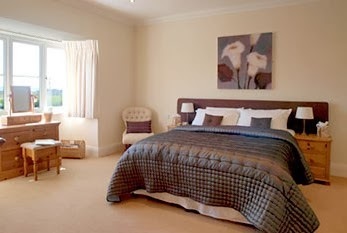 Bedrooms are all centrally heated, well furnished and tastefully decorated and most have en-suite facilities. The Grove enjoys a pleasant situation overlooking Pannett Park, just a short walk from Whitby town centre and its picturesque harbour and ancient Abbey ruins. Whitby is an ideal centre for exploring the magnificent North Yorkshire Moors National Park which promises splendid walks with breathtaking views. Visit 'Heartbeat Country' centred around the village of Goathland just 15 minutes drive away and see where this popular TV series is filmed. The historic city of York, and the market towns of Pickering, Malton & Helmsley are all within easy reach. 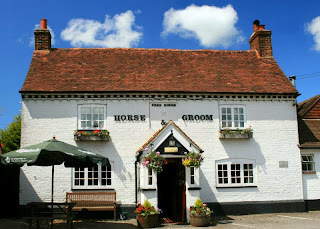 Listed in The Good Beer Guide, The Horse and Groom is a friendly and welcoming country pub located in East Ashling, a picturesque village at the foot of the South Downs just a short journey from the charming city of Chichester. With its traditional bar, oak-beamed restaurant and 17th-century flint barn accommodation, the Horse and Groom is a great local meeting place with a comfortable atmosphere that is nurtured by the landlord and landlady, Mike and Michelle Martell. During your stay you may wish to take advantage of our activity programmes. This could include a variety of indoor or outdoor sports and activities. The hostel is situated in it’s own grounds, just off the town centre which offers a variety of shops, restaurants and bars with a local Theatre/Cinema. There is parking situated directly outside of the reception area. 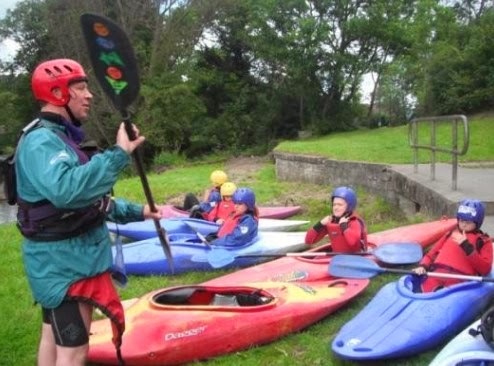 We also offer a variety of facilities to businesses who require a venue for residential corporate activities. 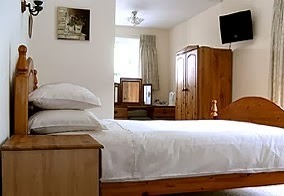 The Laurels is a traditional cottage style bed and breakfast set in the heart of St Fagans. 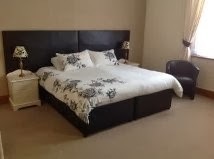 A family run guest house offering comfortable, flexible accommodation for both business visitors and tourists. Graded 4 Star under the Visit Wales grading scheme. The B&B is Wales Tourist Board 4 star graded and offers family, double/twin and en-suite rooms. 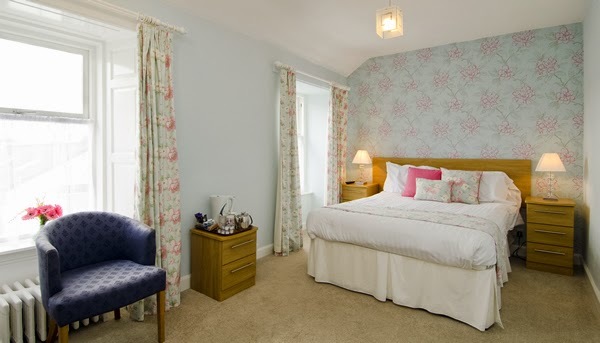 A warm and friendly welcome awaits you at Trewint Guest House, located in the beautiful seaside town of Falmouth in Cornwall. Trewint Guest House offers comfortable ground floor en-suite accommodation along with private parking for guests on a Bed & Breakfast basis, and is perfectly situated within a few minutes stroll of Gyllyngvase Beach, the Princess Pavilion or Swanpool Beach with its nature reserve and coastal path. In the morning a Full English breakfast awaits you, just to ensure your day gets off to a great start. Vegetarian or lighter alternatives can be arranged during your reservation. There is truly something for everyone in Falmouth, Cornwall whether you want to relax in the sun, or visit the beautiful National Trust Gardens at Glendurgan Trebah and Trelissick, or historic buildings such as Pendenis Castle built by King Henry VIII, and the National Maritime Museum Cornwall, where you can explore England’s maritime history and discover how it helped shape our importance in the world we live in today. Newly built for 2010 and beautifully finished. 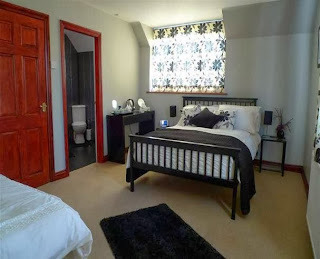 One double and one twin room both en suite. Disabled facilities. Flat screen TVs in both rooms. 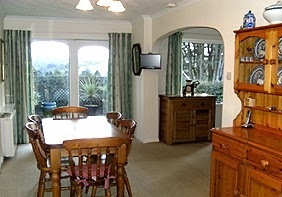 With views out to the harbour and within a very short walk from the Harbour Bar where breakfast can be served. 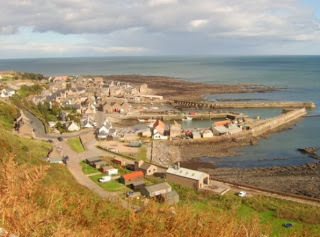 Gourdon is a beautiful active fishing village with a friendly community environment. 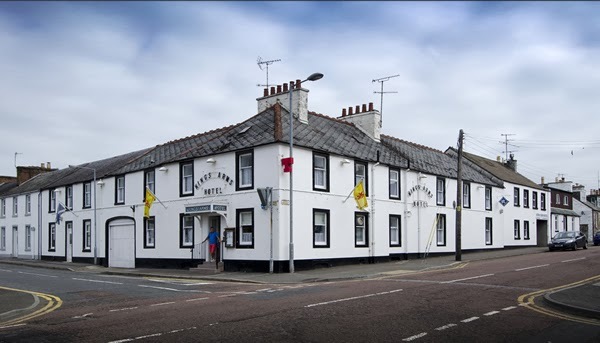 Village facilities include the ever popular Harbour Bar for a warm welcome; Local fish restaurant; Post office and licensed grocery shop with the adjacent village of Inverbervie providing all other requirements. 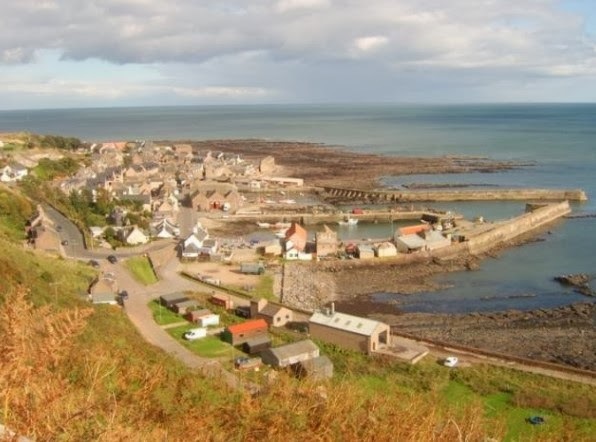 Gourdon centres on the gentle coastal paths that lead North to Inverbervie and South to Johnshaven and provides an ideal base for accessing the North East of Scotland with Aberdeen 25 miles away and Dundee 30miles. A regular local bus service is also available. Havenhurst House Bed and Breakfast in Lymington provides spacious luxury B and B for visitors to the New Forest, Lymington and Milford-on-Sea. The top quality accommodation provides a quiet and easily accessible place to stay, just a couple of minutes drive from the New Forest, Lymington town, marina and Isle of Wight Ferries. Deana and Mike invite you to spend a relaxing and memorable break in their beautiful home. Each of the bedrooms has either luxury en-suite or private bathroom with spa. There are beautiful views overlooking open fields to Pennington Marshes with their wealth of bird life and on to the Solent and the Isle of Wight. Havenhurst is situated within walking distance of Lymington town, with its Saturday street market, shops, restaurants and pubs. A peaceful spot in south Pembrokeshire with modern, elegant, boutique accommodation, Whitehall Lodge offers the perfect getaway for lovers of the splendid Pembrokeshire Coast National Park. If you enjoy coastal walks, beaches, the natural countryside walking or cycling, we offer a comfortable home-from-home experience in a quiet location away from the main road, but with easy access to the delightful walled town of Tenby. 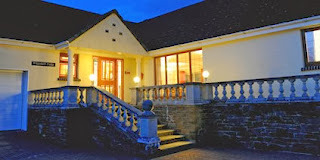 We have four spacious en-suite rooms all on the ground floor, and there is a pathway from the car parking area around the front steps, all well illuminated if returning after dark. Walkers, cyclists and motorcyclists are very welcome at Whitehall Lodge. There is locked undercover storage for bikes and a drying room for walkers' boots and wet weather gear. Footpaths from East Williamston connect to the coast path trail and many other routes, and for cyclists the quiet country lanes of the National Park are ideal. 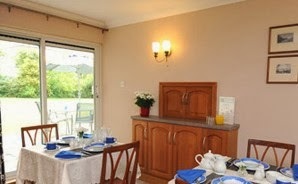 All rooms have TV with DVD and tea & coffee facilities. Wi-Fi is available throughout the house. We have a drying room, secure storage for 2/3 bikes and a daily weather forecast is provided. Welcome to Ardudwy, where your Bed & Breakfast stay will leave you saying "Hotel, but without the prices!" "Ardudwy" is the home of Beryl and Adrain Jones who will aim to make your stay as pleasant as possible. 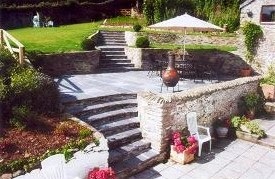 The property is located on the outskirts of the village of Brynsiencyn, some 150 yards from the A4080 road. 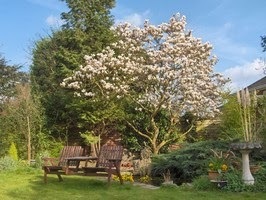 The property is set within its own grounds and offers a quiet location for your stay. Breakfast will be served to suit, comprising of a full English cooked meal. 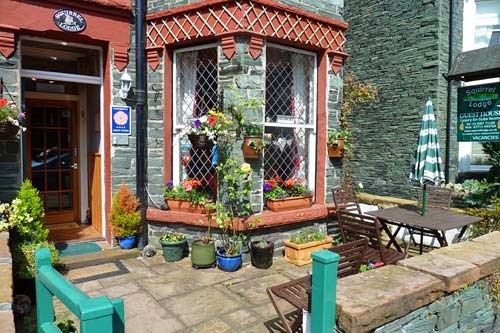 Located a mere stones throw outside the small village of Brynsiencyn, on the beautiful Isle of Anglesey, Ardudwy is convieniently located for all locations. 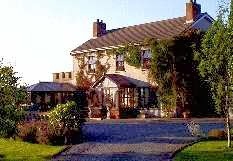 Home to Beryl and Adrian, your stay will certainly leave you well refreshed and ready to explore the beautiful Anglesey countryside or its miles of fantastic coastline. 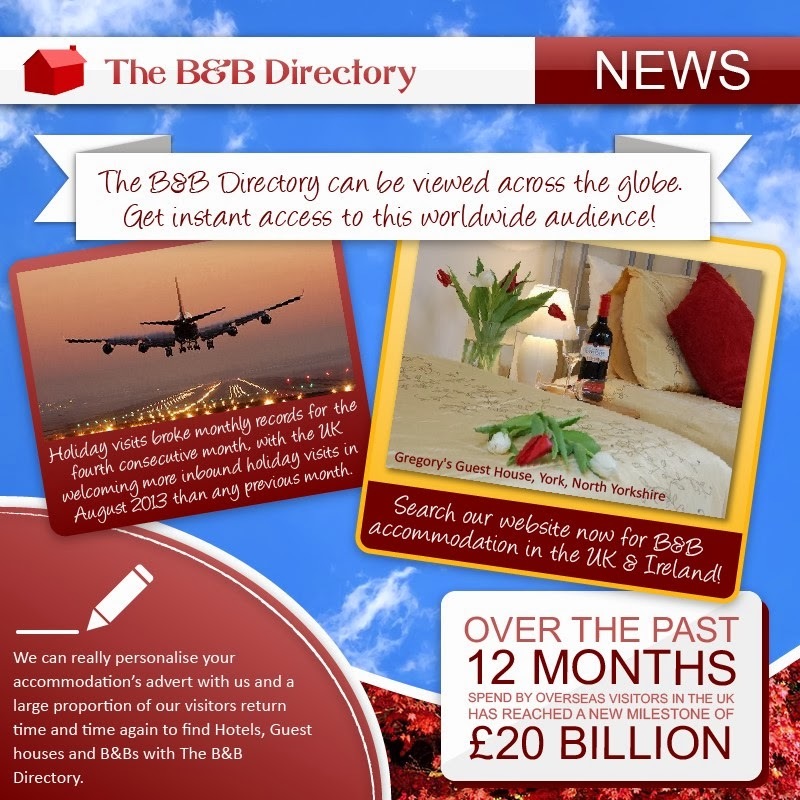 Please note the property is for sale however will still be offering Bed & Breakfast accommodation. 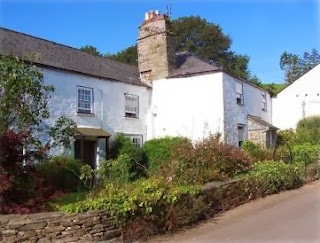 A very warm and friendly welcome awaits all guests at our Bed & Breakfast. 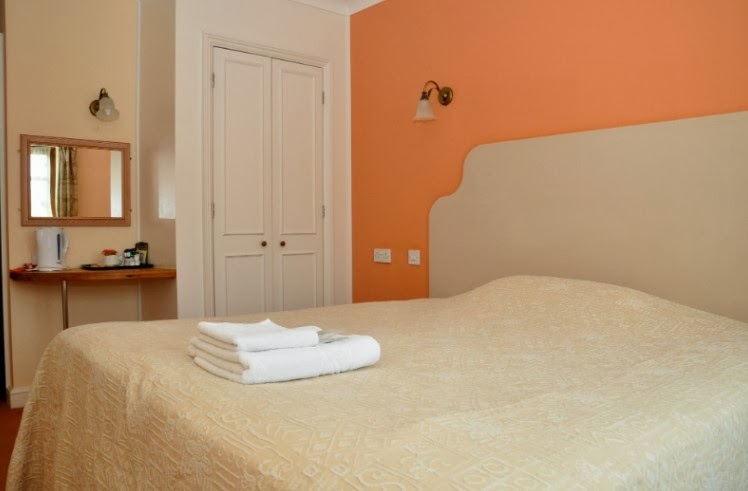 All rooms are tastefully decorated to a high standard with very comfortable beds and luxury en-suites or separate shower room. Beautiful accommodation and an excellent breakfast in a stylish dining room overlooking the garden awaits our guests. Situated in a quiet, highly desirable tree lined road on the west side of Maidenhead ½ mile from jct. 8/9 - M4/A404, and 1½ mile from jct. 4 - M40. Conveniently situated in the heart of the Thames Valley with its high tech. businesses at Slough Trading Estate (5 miles distance) and walking distance to Vanwall Business Park and Foundation Park. Windsor is 6 miles away and Maidenhead Train Station takes you into London (Paddington) in 20 minutes. Preston Farm is situated in the small village of Harberton, about two miles from the ancient borough of Totnes. 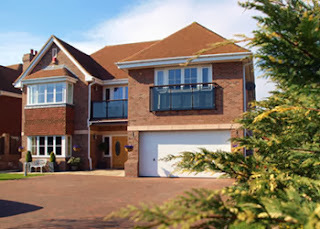 It is ideally situated for touring South Devon, with the wonderful scenery of Dartmoor and the beautiful beaches of the south coast just a short drive away. The moors and coastal paths both afford scenic routes for the keen walker. This centuries-old farmhouse has been carefully restored for your comfort and convenience, and has full central heating. There are two large, attractive sitting rooms available at all times, one with a stone and slate hearth and very effective woodburner. There is a TV, CD player and books. The dining room features original beams and inglenook, lots of copper and lovely china. The bedrooms are spacious, individual and stylish. They have tea/coffee facilities and television. Each has a private full-sized bathroom. There is ample private parking.